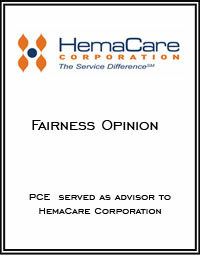 HemaCare BioResearch Products and Services provides healthy and disease-state human-derived primary blood cells and tissues isolated from peripheral blood, as well as mobilized peripheral blood, bone marrow, and cord blood for advanced biomedical research. They specialize in custom cell collections, isolations, and testing of primary cells for research use. HemaCare supports industry and academic organizations with apheresis collection services for preclinical research, clinical trials from Phase I through Phase III, and clinical cell therapy applications.